Churchill Downs Racetrack announced today the official menu of the 142nd Kentucky Derby presented by Yum! Brands on May 7, 2016. The menu is designed to showcase the essence of southern food, while infusing international garnishes and modern twists on well-known Derby traditions. 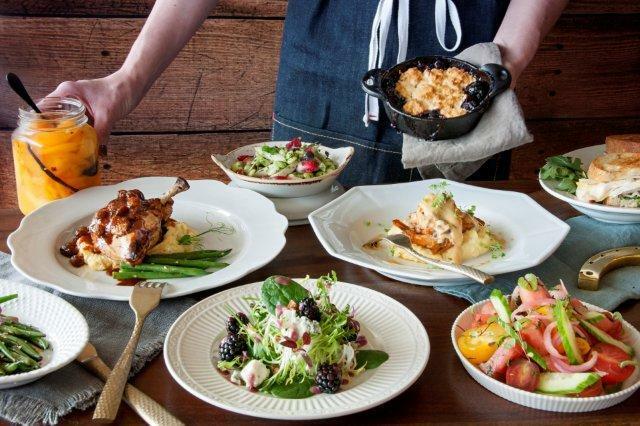 Served throughout Churchill Downs’ dining areas, the menu is representative of the various culinary experiences available during Derby weekend. After more than a year in the making and over 27,000 miles logged, the ingredients for all menus throughout the racetrack were hand-picked from local farmers and international partners to achieve a distinctive blend that elevates southern flavors to new heights. The majority of the Run for the Roses’ culinary traditions come straight from Kentucky sources, including 300 crates of mint for the famous mint juleps and sweets, as well as Bourbon Smoky salt found in many of the Derby’s rubs and seasoning. International ingredients are also present, particularly in the menu’s desserts, including chocolate from Switzerland, garnishes from France and dairy products from Austria. To meet the demands of the ingredient-driven menus, Churchill Downs Racetrack will enlist the support of students from the Pennsylvania Technical College to help prepare for more than 170,000 guests.